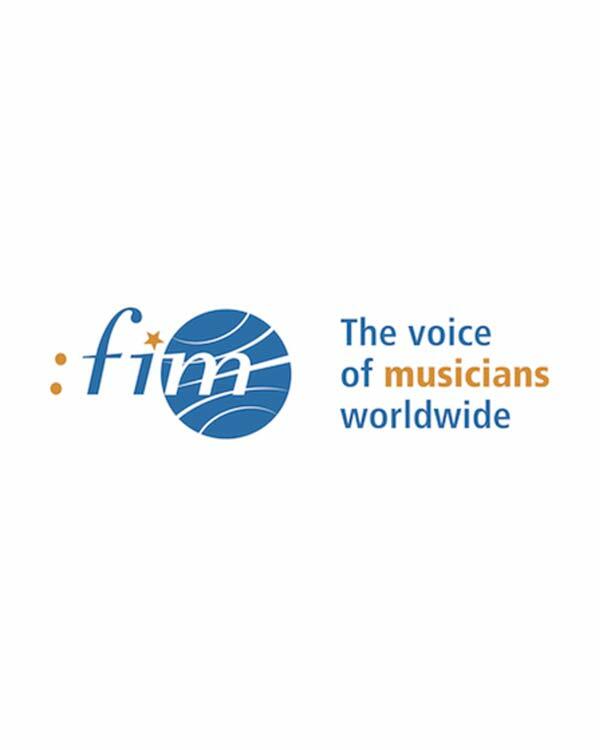 Since its inception in 1948, The International Federation of Musicians (FIM) has been working towards the recognition of intellectual property rights for music performers. FIM’s efforts have led or contributed to the adoption, at international level, of the Rome Convention (1961), the WPPT (1996) and the Beijing Treaty (2012). However, these rights are not a guarantee of remuneration for performers as contractual practices – from the design of to the interpretation of contracts – may simply annihilate any benefit expected from the exploitation of their recordings. The democratisation of Internet and the rapid evolution of information technologies since the ’90s have enabled consumers to access a new music offer so vast that was unimaginable only a few years back. Beginning with downloading and then streaming; music became available almost without restrictions. The principle was fine-tuned as technologies developed (LPs in the middle of the 20th century then the Internet at the turn of the millennium). An international instrument – the 1961 Rome Convention – was dedicated to giving performers and phonogram producers legal protection of a similar nature as that for authors. Labels and performers are entitled to be paid a royalty (known as “equitable remuneration” and managed by collective licences) when their recordings and recorded performances are broadcast or performed. Sixty-five years after the adoption of the Rome Convention, the choice to protect investors (such as record labels) with a copyright remains a frustrating one for performers. And, the United States is still not a signatory to the Rome Convention which is most disadvantageous to American performers. Outstripped by the pace of development, to begin with the phonographic (record) industry took a hyper defensive stance by promoting Technological Protection Measures (TPMs – inappropriately termed DRMs or digital rights management) and a few resounding law suits in piracy (against both commercial music pirates and, unhelpfully, individual music fans), before finding new economic models which today enable it to renew profits. These policies have meant, however, that the record labels have had to pay the heavy price of a seriously dented image. Leading music streaming services such as Spotify, Deezer, Pandora, Apple Music, YouTube, Tidal, Rhapsody, Qobuz, or Google Play try to win over a maximum number of customers, whether these pay or not, as quickly as possible. What differentiates the various services is not so much the catalogue made available (despite the sensational withdrawal of some artists) as other aspects such as interface or sound quality (Tidal now offers MQA- master qualiy authenticated). Subscription prices remain at psychological thresholds (€9.90 a month for Deezer or Spotify). But Something is Not Right….. The figures are clearly impressive and steadily growing. YouTube: approx. 1 billion users, Spotify: 140 million users (thereof 60+ million subscribers), Deezer: 16 million. Dissenting voices are, however, being raised among artists. Taylor Swift opposes the freemium models: “Valuable things should be paid for” she says. “It’s my opinion that music should not be free.” On the 21 June 2015, she successfully upset the streaming applecart when she came out against Apple Music’s new offer not to remunerate writers, composers and performers for the 3-month trial period after their initial launch. In reality, these illustrious voices, whom the media are quick to take up and who are followed directly on Twitter by millions of fans, are the trees which prevent us from seeing the wood. Clearly they justly denounce the shortcomings of streaming models and in particular the pitiful remuneration the talent receives in comparison to an often colossal number of times they are heard. The immense majority of performers, however, do not even receive this feeble income. Quite simply, they receive nothing. How is this possible? Such imbalance between producer and artist often means that the latter is forced by contract to accept a single, lump-sum payment which remunerates both the recording of the performance and all subsequent possible and imaginable uses thereafter. There is, however, an exception to this global transfer, first established by the Rome Convention, which concerns broadcasting and communication to the public of commercial phonograms (diffusion of music in public places, dance halls, shops, hotels…). This type of use is not covered by an “exclusive” right but by an unwaivable “right to remuneration”. As such, no prior authorisation from right holders is necessary, but instead the payment of equitable remuneration is required. This payment by the user (a broadcaster, or night club for example) is shared between performers and producers and is in principle shared equally between these two categories of right holders. In practice, therefore, performers have generally only one right from which they receive remuneration –that of broadcasting and communication to the public–, because of its non-transferable nature. Since all other so-called “exclusive” rights have been transferred to the producer in the label contract, it is the label that receives income from these other uses – sale, download and interactive online streaming. There are signs that record companies may unilaterally decide to exploit pre-digital era recordings on the internet by ways of streaming or download, claiming that under the old contracts they own the performer’s exclusive right of “making available” even though such uses and the rights attached to them did not exist at the time the contract was signed. Downloading, streaming: exclusive right or right to remuneration? The case of downloading is clear: this is what is referred to in treaties as the “right of making available to the public on demand”. Making available is a recent legislative addition. It is a sub-set of the communication right and was created by an international treaty from the World Intellectual Property Office. The WIPO Performers and Phonograms Treaty 1996, or WPPT, accommodates a right from the internet delivery of performers and audio recordings of their work. The USA has not embraced the “making available right, notwithstanding its membership of WIPO, as US law applies other exclusive rights (operating either separately or together) from their domestic copyright statute, although in 2016 a study of the right was published by the US Copyright Office. This type of use presupposes a triple choice: that of the recording the person wishes to listen to, the time when he/she has access to it and the place of access. Downloading by a music lover fulfils these conditions. But as the music is retained, akin to acquiring the music by a sale, the labels consequently only remunerate artists for a possible contractual sales royalty, if provisions are made for such in the contract. Streaming is slightly different. Users can either access a particular recording which they have selected, or listen to a curated or random playlist whose tracks are unknown beforehand, as is the order in which they are played. In the first case, this is making available on demand, whose three WPPT criteria are fulfilled, as with downloading. In the second case, however, this is a simple communication to the public for which payment should be made on the basis of equitable remuneration – as in a broadcast where the audience simply receives what is being chosen for them. But in this second case, despite their right unwaivable right of equitable remuneration, it is not, certain that artists will be paid. Some jurists claim that by just pressing a single key while listening (skip or pause for example), users introduce some level of interactivity which is sufficient to redefine this act as an exclusive right (passed to the label by contract), thereby eliminating equitable remuneration in favour of an exclusive right of making available on demand. This right is transferred contractually to producers and consequently, more often than not, only benefits the latter. For an artist with a record contract – a so-called “featured” or “contracted” artist – the label will apply the contractual sales royalty, either as a percentage of the actual price or a percentage of “wholesale” thereby reducing the royalty calculation base. Often a label will deduct packaging costs despite these not being incurred in online dissemination at all. One consequence for artists on old contracts with very low royalty rates is that as much as 90% or more of making available revenue will be retained by the label – even where any monies the artist was advanced has long ago been recouped from their record sales. For a session musician the situation is even more desperate. Their fees for recordings are part of the recording budget, and all their rights as performers (save for the unwaivable right of equitable remuneration) are acquired globally for a single fee. The result is that, of the revenue from the making available of recordings, nothing is paid to the session musicians – despite their important musical contributions to the recorded works. As for the other artists –the majority– they receive nothing except for the lump sum payment at the moment of recording. It is clearly understandable that this situation is untenable and artists cannot be left by the wayside any longer as a result of economic models which deliberately ignore them. 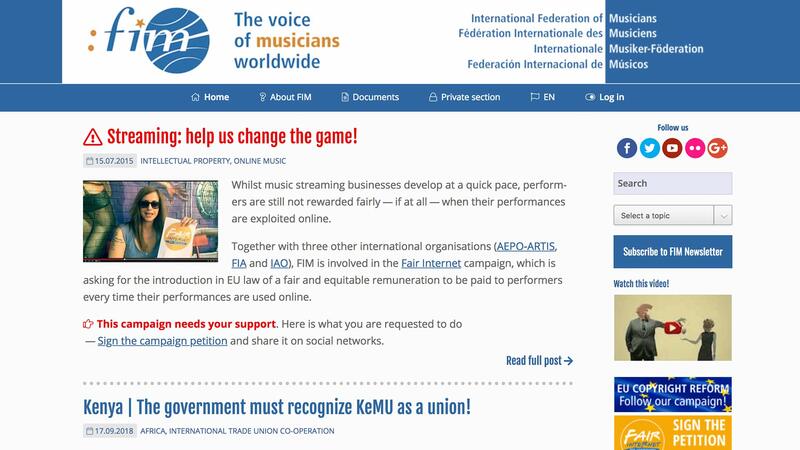 In order to try and put an end to this injustice, four organisations representing performers in Europe: AEPO-ARTIS (http://www.aepo-artis.org ), the International Federation of Actors (FIA), the International Federation of Musicians (FIM) and the International Artists’ Organisation (IAO) are carrying out a campaign to introduce into European legislation a right to remuneration for performers, collected from downloading and streaming platforms and managed by performers’ collective management organisations. Links to these organisations are found elsewhere on Fairness Rocks. This right to remuneration does not replace the exclusive right of making available but is an addition to it, thereby enabling all artists whose performances are exploited online to receive a fair share of the income generated. Promoted by the FAIR INTERNET campaign (http://www.fair-internet.eu ), this model is not new at European Union level as it already exists for the rental right (Directive 2006/115/EC, Article 5). Also, performers’ collecting societies already have a longstanding experience in this type of exercise. Consequently, the system proposed does not present any legal or technical problems. With the proposed European Directive reviewing copyright in the Digital Single Market, European performers have a once in a lifetime opportunity to be granted a fair share of the online income they help generate. This necessary advance is the key to the new equation that both artists and those who listen to them are waiting for, in Europe and on a global scale.